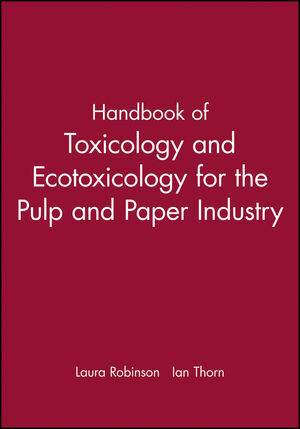 This book provides a guide to the use and meaning of toxicological and ecological information in the paper industry. For example, the information provided by suppliers of paper chemicals to paper mills is analysed in detail. This allows for greater understanding by users and therefore awareness of the possible implications of handling a given chemical with respect to its impact on the working environment, the final product and the environment beyond the mill. The information currently available is collected, summarised and systematised so that users bombarded with inconsistent Safety Data Sheets can make intelligent use of them or can ask sensible questions of their suppliers. Emphasis is on providing guidance on how to find a commercially realistic path between over evaluation and under evaluation of potential health and environmental risks. Ian Thorn is retired from at Eka Chemicals in Weston-Super-Mere, UK. He previously worked in research and development and technical service and development.